Insurance is not a one-size-fits-all approach. We provide our employees with a wide array of benefit options to choose from. We offer our employees two health insurance plans to choose from: a traditional PPO plan with a lower deductible and a Health Savings Account (HSA) option. The company makes a generous contribution to our employees’ premiums and uses insurance providers with large national provider networks. Our HRA was established to assist our employees and their families with covering their deductible medical expenses. Our employees pay part of their deductible medical expenses and Pottle’s pays a portion as well. Our dental plan covers 100% of preventative care, 80% of restorative care and helps defray the cost of major dental services. It also allows you to roll over a portion of your unused benefit dollars from one plan year to the next. Our vision plan helps cover the cost of eye exams as well as providing assistance with the cost of eye glasses or contacts. 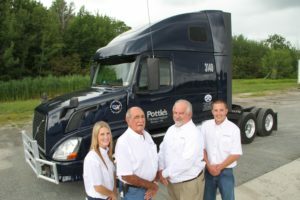 Pottle’s provides all its employees with $20,000 in term life insurance and $20,000 in Accidental Death and Dismemberment Insurance. In addition, our employees can purchase additional Supplemental Group Term Life Insurance at affordable group rates for themselves as well as for family members. All employees have the option to protect their earnings with Voluntary Short Term Disability (VSTD) and Voluntary Long Term Disability (VLTD) plans. All Pottle’s employees are eligible to participate in our 401(k) plan. We make it easy for our employees to save for retirement with auto-enrollment. The plan offers many options to tailor your savings strategy and includes a company match!